It went all but unnoticed, but in another milestone of its growing global role, in 2014 China surpassed the US as the world's largest importer of oil. As the US and China struggle to define what a "new model of major power relationship" actually means, one measure of it would be for the world's two largest powers to increase cooperation to strengthen the global order. And nowhere is the global order more challenged than by the multiple, overlapping ethnic, religious and sectarian conflicts raging in the Middle East. By most assessments, the Middle East is likely to be consumed by internecine conflict for a generation to come. Some 70 percent of Middle East oil exports go to Asia, and East Asia gets some 75 percent of its oil imports (in China's case, about 60 percent) from the Middle East. With some 60 percent of the world's proven oil reserves, even with the US Shale Revolution, so long as the world needs petroleum, there will be a global market and the Middle East will remain a strategic region to China as much, if not more, than to the US. Yet to date, it has been the US military, with air naval forces based in Gulf Cooperation Council states and, Turkey, with whom it has close military cooperation, that has played the security guarantor role in the region. Yet with the US producing over 9 million barrels of oil a day, and projected to surpass Saudi Arabia in 2016 as the world largest oil producer, the US gets only about 12 percent of its declining oil imports from the Middle East. China has benefited from the US security role in the Middle East, but also suffered its excesses such as the war in Iraq. Today, no nation has a larger stake in the unrealized goal of stability in the Middle East more than China. Now, as China has built an increasingly capable maritime force, it is well positioned to assume a greater role in the region. It was perhaps a recognition of this reality that led China's Foreign Minister Wang Yi recently to pledge Chinese support to Iraq to fight the Islamic State (IS) terrorist group. Some reports suggest as many as 300 Chinese Islamists from Xinjiang have joined IS. 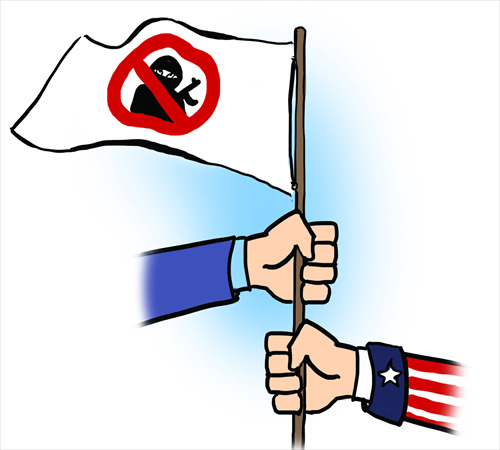 However, despite China's support for the fight against IS, it has not joined the 60-nation coalition. Moreover, China has greater investments in Iraqi oil and has invested more than $25 billion in infrastructure projects in Iran. There are signs, however, that China is beginning to define a larger role as a security provider in the region. Beijing has, for example, been actively involved in global maritime cooperation to fight piracy in the Gulf of Aden. In addition, Beijing has demonstrated impressive diplomatic activism in Afghanistan, seeking to broker a political deal to enhance political stability in that troubled nation on China's borders. Historically, China has tended to be a unitary actor, rarely joining coalitions, alliances or collective efforts. Even in the cases of the Gulf of Aden and in the fight against IS it is pursuing parallel policies. As a permanent member of the UN Security Council, China is, in theory, one of the guardians of international security and stability. But how does Beijing define its global interests? As China has grown to be the world's largest trading nation with a $10 trillion economy, extensive foreign investments worldwide, its stake in global stability has risen proportionally. China's interest in countering radical Islam and terrorism, as well as wider stability in the Middle East overlap with those of the US. It would be an important sign of China defining its role as a stakeholder in the global order and demonstrating a new model of major power relations if China began to actively consult and coordinate with the US on policies toward the region.